Black NASA-grade vinyl bag with black PVC lining and heavy hand-spliced nylon rope handles. 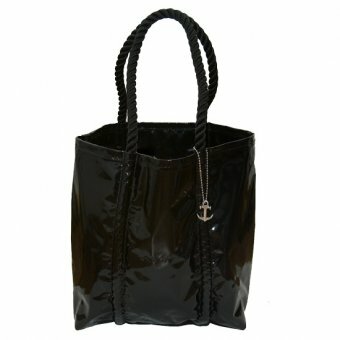 Bag has 3 exterior pockets, 1 interior pocket, and small cast anchor keychain. And on sale, too! We’ve always loved Snoopy because he had attitude. He rolled his eyes at the humans and did whatever he wanted. We were precocious tots and thought he was awesome for sticking his tongue out behind Lucy’s back. The geniuses at MetLife have figured out that just about everyone loves Snoopy and a lot of people like fashion, so maybe some of those people might buy insurance during New York Fashion Week. Yeah, a stretch, but thanks to them for their ‘Snoopy In Fashion’ runway show, featuring Project Runway‘s Laura Bennett, Jeremy Scott (off-topic: why is he not as famous as Marc Jacobs? 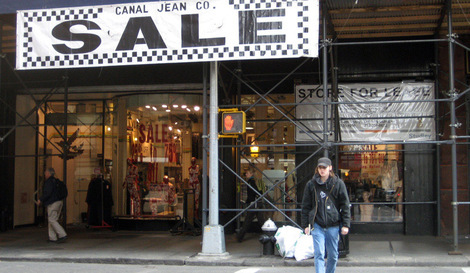 ), Heatherette, Betsey Johnson, Isaac Mizrahi and more. 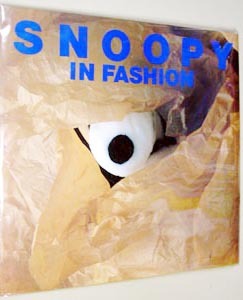 By the way, if you want a taste of fab 80’s fashion featuring Snoopy, find yourself a copy of the original hardcover Snoopy In Fashion. We’re totally jazzed for the next Keanan Duffty for Target collection for men. Target tends to overlook the guys when it comes to their designer collaborations (not that we didn’t buy some Libertine anyway! ), but this collection more than makes up for it. Inspired by rock icon David Bowie’s Ziggy Stardust period, the collection includes jeans with lightning bolts on the pockets, close-cropped vests and a black trenchcoat. So right for fall. Debuts in October in select Target stores. 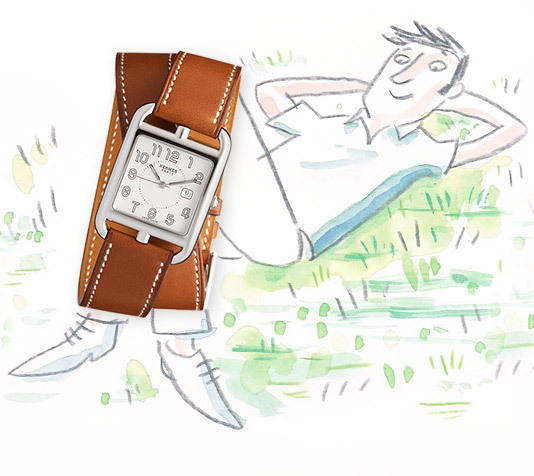 Have you seen the new Hermes watch collection? Some brainiac at the French luxury house finally realized that they were selling crap and redesigned the whole collection. We’re jonesing for the new men’s size Cape Cod with the double-tour leather band. Hmm… rent or watch, rent or watch?